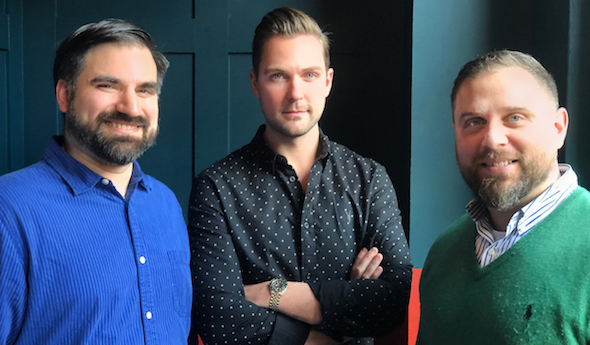 Congratulations to our colleagues of The Reference with the acquisition of New York-based digital-first agency Karbyn! And a warm welcome aboard to our new friends in the Big Apple! This acquisition is the next logical step for The Reference, after opening an office in Manhattan last year. Not only does this significantly increase its footprint in the North American market, it also gives clear evidence of its ambitions to further grow and be a true global digital partner. Both companies, together now 150 people strong, share technological solutions like the Sitecore© Experience PlatformTM and a pragmatic and customer centric go to market approach. The Reference and Karbyn both have an impressive record of accomplishment in diverse areas within digital transformation, such as strategy and branding, mobile and web development, marketing automation for small and medium sized businesses as well as Fortune 500 companies. The Karbyn experts now join forces with their The Reference counterparts in Ghent, Antwerp and New York. They all create digital value at the intersection of marketing and technology. Olivier Deneef will join the management team of the US entity as CCO, together with Jim de la Bastide (CEO) and Joe Donofrio (COO), who will report directly to Anja Cappelle (CEO). The Reference joined the Emakina Group in 2007. The independent European agency group now takes full ownership of Karbyn through its subsidiary The Reference. The acquisition is subject to the approval of the Emakina Group board, with the final value of the transaction to be based on operational results recorded by Karbyn until 2022.